SKYHIGH.VIP is a Singapore based company, now we are expanding in Thailand, would like to hire 2 sales in Bangkok and work in Gaysorn Tower, there are opportunities hope you can seize it and also challenges you can overcome. Demonstrate in-depth knowledge of the brand and products to the customers. To provide exemplary quality of customer service, build repeat clientele and maintain customer relationship. Ensuring that membership selection is based on customer profile and needs. To source corporate accounts for membership sales. 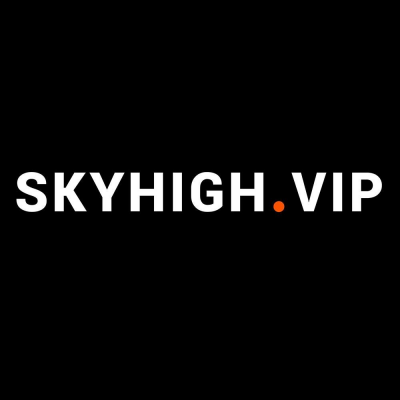 To promote and sell SKYHIGH.VIP services. Any other task or responsibilities that shall be required by the company. Min 1 years of experience in relevant field. Possess good customer service and interpersonal skill. Sales driven and outgoing personality. Better know what chambers of commerce is and better have such experience. 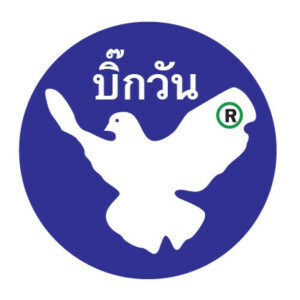 เงินเดือน 12,000 บาท รายได้รวมค่าคอมมิชชั่น 20,000 - 35,000 บาทขึ้นไป. Be responsible to the Assistant Principal (Academic). Work closely with Academic Administration Manager, Senior Academic Administrator, the Personal Assistant to the Vice-Principal (Head of Senior) and Head of Department or Year Team Leader to perform and help them carry out their duties and to provide administrative support as requested. Communicate effectively with the academic support team and relevant HODs, including the use of email. Create and manage spreadsheets of relevant academic data as requested. Update student records and produce summary data for school leaders. Help to produce schemes of learning, curriculum materials and written assessments in collaboration with teaching staff. Assist with the organisation, paperwork and invigilation of internal tests and competitions. Maintain and update folders and files, both hard and soft copy. Liaise with parents and staff to arrange meetings. Be available for school events, outside of normal school hours, that require administrative support e.g. after school events such as Parent Teacher Conferences and other information evenings. Attend whole school staff meetings. Offer assistance with translation between staff and parents where appropriate. Back and mount display, photocopy, laminate and bind documents. Organise and monitor stock and equipment. Professional Expectations: The Academic Assistant should have the following qualities. Speak and write English fluently. Have a degree or equivalent qualification. Possess excellent interpersonal skills in dealing with colleagues, parents and students. Be competent in the use of Microsoft Office applications (especially Excel and Outlook) and be familiar with Google applications e.g. Google Drive, Google Docs and Google Sheets. Support the aims and ethos of the school. Set a good example in terms of dress, punctuality and attendance. 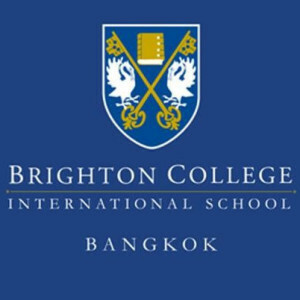 The ICT Support Technician at Shrewsbury International School Bangkok City is responsible to the ICT Supervisor who acts as Line Manager. He/she will work closely with the rest of the ICT Support team to provide an excellent service and vital technical support to meet the needs of the Shrewsbury community. To provide comprehensive technical support service to apple devices such as iPads, iMacs, Macbooks and Apple TV s including administration, installation and updating of all apple software and Apps to all staff and students. Administrative duties relating to the schools IT systems including Google Apps for education, Firefly, Destiny and Overdrive.. Basic Programming knowledge in: Microsoft Access, MySQL, SQL server.. Basic Web Programming knowledge in: ASP, PHP, CMS such as Wordpress..
Set up equipment such as desktop PC s, laptops, data projectors, printers, interactive whiteboards and other ICT equipment, ensuring that systems are ready for use..
General technician duties as and when required to help maintain the school network and support the smooth operation of the schools IT infrastructure..
We're looking for software developer who will be responsible for day-to-day software development and 3rd level support, working closely with other development teams. At least 2-year experience of high performance server development using C++. Experience in database application design and delivery of software based solutions. Strong track record in the delivery of software based solutions. 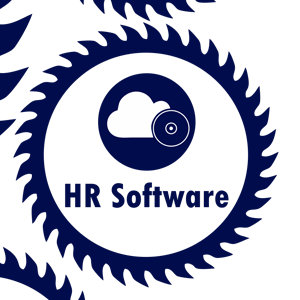 Strong understanding of software systems, development issues, methodologies, and processes within a professional software development practice. Oracle Database (DDL, DML etc.). GlassFish application, Apache, WebSphere MQ. execute their own day-to-day responsibilities and support the team to ensure that the wider objectives of the Department and School are met. Manage the execution of delegated tasks, as sanctioned by the line managers, ensuring that they are delivered to time, budget and expected quality. implement actions set out in the strategic marketing plan, and in accordance with the expectations of line managers. support and execute communications between the school and internal stakeholders through its established communication systems, ensuring that format, tone and content is appropriate and in line with the school s guidelines. (including the drafting of materials for website and issuing of messages and letters on behalf of the school to parents and students via Parent Portal , email and SMS .). support and execute promotional activities for the School including face-to-face networking, advertising campaigns and outward-facing communications (including via social media and website). track effectiveness of digital communications and conversion rates in order to inform communications and promotional strategies going forward. analyse and track competitor activity to identify areas of threat and opportunity. engagement with school community and identification of school activities to leverage positive Word of Mouth and generate new marketing ideas for the school. follow the brand guidelines and ensure that the materials and communications presented by others are also in alignment. develop and control the marketing inventory, ensuring adequate stock and timely provision of marketing materials in accordance with budget. plan, initiate, implement and support key school events. advise all staff on events planning and ensure key messages and materials are delivered. assist in the pre-communication/promotion of events, and establish and manage ticketing and registration processes (if required), Public Relations Media and public relations. monitor competitors news, analyse and make recommendations to shape the School s own promotional activities and strategy. work with other stakeholders to map out networking events and engage SMT. attend networking events and create top of mind brand. networking and engage school community. excellent English, both written and spoken. ability to produce, edit and proof accurate English Language copy. a proactive team player, willing and able to execute own work streams. excellent planning and time management skills, with ability to prioritise urgent tasks and meet agreed deadlines. 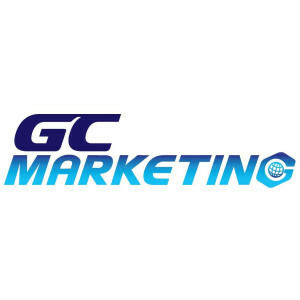 experience in a professional Marketing environment. practical knowledge of digital platforms and social media, including campaign execution. ability to respond to new information and crisis management in a calm and professional manner. familiarity with editing, and proofing processes, including quality control of proof products provided by suppliers. journalism skills are advantageous, particularly the ability to identify opportunities for leveraging positive news from within the community, gather the necessary information and present it in accurate and persuasive written English. experience of working in a school environment and demonstrating understanding of inter-departmental working. comfortable in the basic use of photographic equipment. Additional skills and experience in event photography and/or editing software (Adobe Photoshop) a plus. some experience with Adobe InDesign and/or Adobe Illustrator. familiarity with Google drive, Google forms and Google analytics. experience and proficiency in Microsoft Word and Excel. 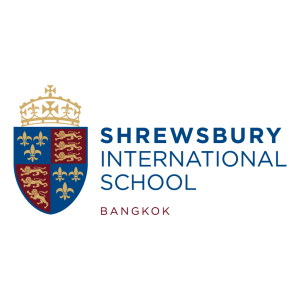 The Visa Officer (Temporary) at Shrewsbury International School reports to the School Manager and works as part of the visa team. The team members liaise with the statutory authorities and government agencies in order to arrange teaching licenses, visas and work permits for the staff of the school. respond efficiently to enquiries from staff and government agencies regarding teaching licenses, visas, and work permits;. prepare applications and relevant supporting documents for work permits and visas in accordance with government agencies' requirement;. ensure full understanding of the latest rules and regulations concerning permits and visas as issued by the statutory authorities;. accompany and represent staff members at the Immigration Bureau, Labour Department and related organizations in applying for residence and work permits;. ensure all legal requirements are completed in a timely manner;. maintain and update database and folders of staff information including expiry dates of documents;. ensure effective communication with other departments and members of staff ensuring sufficient notice and preparation is given before renewal deadlines fall;. work closely with the Human Resources Department to ensure a smooth hiring procedure and correct paperwork is produced for the hiring of new members of staff;. assist in other administrative functions as assigned by the School Manager. have a degree or equivalent qualification;. be flexible in their approach to work and enjoy working as part of a team;. possess effective communication with good command of English in both speaking and writing;. have good interpersonal skills and be proactive and adaptable;. be competent in the use of Microsoft Office applications;. be able to prioritize workloads and be able to work effectively in a busy environment;. be prepared to make regular visits to government agencies. The Graphic Design reports to the Associate Director of Marketing and Communications, and to the Director of Marketing and Communications within the school's Marketing Department. The principal roles and responsibilities of the Graphic Design are to design and produce graphical content and layouts (primarily desktop publishing) for electronic and print publications, used both internally for event and teaching and learning purposes, and externally for marketing purposes. The successful applicant will follow project-specific design briefs to design, arrange and produce various materials including posters, booklets, leaflets, web banners or digital advertisement, signage, display and exhibition in accordance with the school's corporate identity guidelines. They should also be able to contribute design ideas and take the creative lead on projects. The successful candidate should be self motivated, be able to work to timelines, and have 5 to 7 years experience in desktop publishing. A working knowledge of core desktop publishing software applications is essential. Some involvement in school events where graphic media are used (e.g. for tickets, signage, banners) is expected, sometimes outside normal working hours. 5 to 7 years practical experience in a graphic design / desktop publishing environment;. be proficient in the use of both PC and Mac, and core Microsoft office software;. working knowledge of and high degree of competence in the use of following Adobe applications: InDesign, Photoshop, Illustrator, Acrobat or other graphic/layout/product design applications what may concern (a sample portfolio of previous work to demonstrate these skills would be advantageous);. be confident in coordinating with print suppliers to obtain price quotations, place orders, proof samples, and ensure that timely delivery of ordered products to the expected quality. Some previous experience of working with print and media suppliers would be advantageous;. proficiency in spoken and written English, sufficient to understand and respond to technical design instructions presented either in person or by email;. be able to contribute design ideas and take the creative lead on projects;. be aware of and sensitive to the demands of working in a cross-cultural setting;. will be a dedicated worker and able to work in tight timeline at times and outside normal working hours when workload and event schedules demand, Some involvement in school events is expected, especially where graphics products (banners, signage etc) are on display;. be committed to and apply all school policies where relevant;. ability to prepare slideshows and electronic presentations (for others to deliver);. possess photography skill and understanding in visual concept and competence in the use of DSLR cameras for occasional school portraiture and events. A professional qualification (degree or certificate) in graphic design;. An interest in videography and video editing;. Some experience of working in an international workplace and/or child educational setting;. An interest in web-design, and basic familiarity/understanding of website content management systems (specifically Drupal). assist the Memorial Senior Audio Visual Technician with AV duties;. assist in providing a high level of technical support to all staff, students and external users who will be using Memorial Hall as a venue for the performances or functions including assistance in co-curricular activities, extra-curricular activities and events run by external parties;. assistant in preparing and operating audio & visual equipment and components for shows, concert and functions including creating and arranging props and models for productions, plotting the lighting;. work closely with Artist in Residence (part-time) to ensure that the set and scene background are painted and created within timeline with good quality to conform with the given requirement;. coordinate with Chief Engineer and maintenance team to ensure that the seating and all visual & audio equipment are in good conditions;. coordinate with Chief Engineer and maintenance team to set up stage and additional seating to meet the requirement;. support staff and students in drama classrooms;. 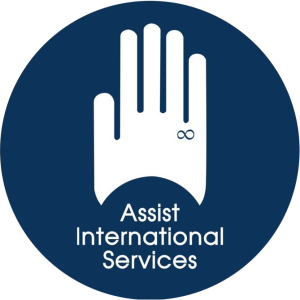 assist relevant departments e.g. Music and Events when it is necessary under supervision of the line manager;. other ad-hoc duties as directed by the line manager. basic spoken and written English;. possess a degree or equivalent qualification;. have relevant experience in Audio Visual technician role;. possess excellent interpersonal skills and feel comfortable to liaise with staff, students, and external visitors granted permission in using Memorial Hall;. possess excellent organisational and communication skills with professional manner;. be willing to work flexible hours, after-school hours, and work at weekend (at times with time off in lieu);. be creative, highly flexible, and positive thinking. The Teacher of Voice reports to the Director of Music, Mr. David Bruce Place, and is expected to teach three full days. This department of highly motivated and experienced instrumental teachers work with students throughout the three schools (Pre-Prep/Prep/Senior). The department enjoys excellent ABRSM and Trinity College examination results and supports the many ensembles which are active in the school. We are seeking a Voice teacher to work mainly with beginners, However, capacity exists both for extension to teach more able pupils and to advance the current cohort, depending upon demand. The ability to teach in English is required. Familiarity with ABRSM syllabuses is expected and a background in teaching young, inexperienced children is a distinct advantage. Candidates should be willing to bring innovation, flexibility, passion and a love of Music to an already thriving Department.Music is a flagship subject of the school and there are regular performances, concerts, recitals and opportunities for students to perform. The successful candidate would be expected to support the ethos of the department and encourage participation amongst their students. will be a dedicated teacher capable of inspiring students;. will have a full working knowledge of appropriate teaching methodologies and have familiarity with the requirements of ABRSM examination syllabuses;. will be a competent pianist;. will have experience as a vocal tutor of individual students;. will have a flexible approach to working within existing structures;. have demonstrated an appreciation of the value of the extra-curricular dimension in developing the potential of students;. will have excellent interpersonal skills;. will be a fully-qualified teacher able to provide two up-to-date professional referees (normally one will be from the current head) and a Police check at Enhanced Level. 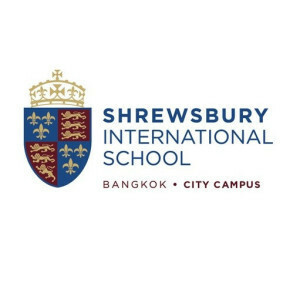 The ICT Support Technician at Shrewsbury International School is responsible to the ICT Director who acts as Line Manager. He/she will work closely with the rest of the ICT Support team to provide excellent service and vital technical support to meet the needs of the Shrewsbury community. To provide comprehensive technical support service to Apple devices such as iPads, iMacs, Macbooks and Apple TV's including administration, installation and updating of all Aapple softwares and Apps to all staff and students. Administrative duties relating to the schools' IT systems including Google Apps for education, Firefly, Destiny and Overdrive. Basic Programming knowledge in: Microsoft Access, MySQL, SQL server. Basic Web Programming knowledge in: ASP, PHP, CMS such as Wordpress. Set up equipment such as desktop PC's, laptops, data projectors, printers, interactive whiteboards and other ICT equipment, ensuring that systems are ready for use. General technician duties as and when required to help maintain the school network and support the smooth operation of the schools' IT infrastructure. Good English language skills in speaking and reading.